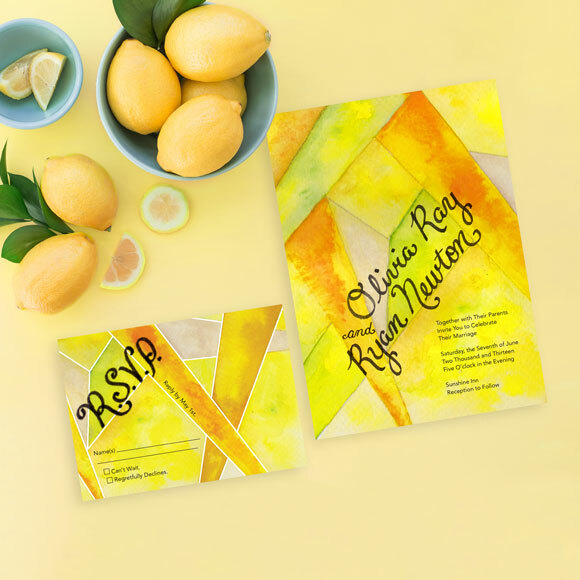 The watercolor Cartagena wedding invitation is perfect for a destination wedding in Cartagena, Colombia. 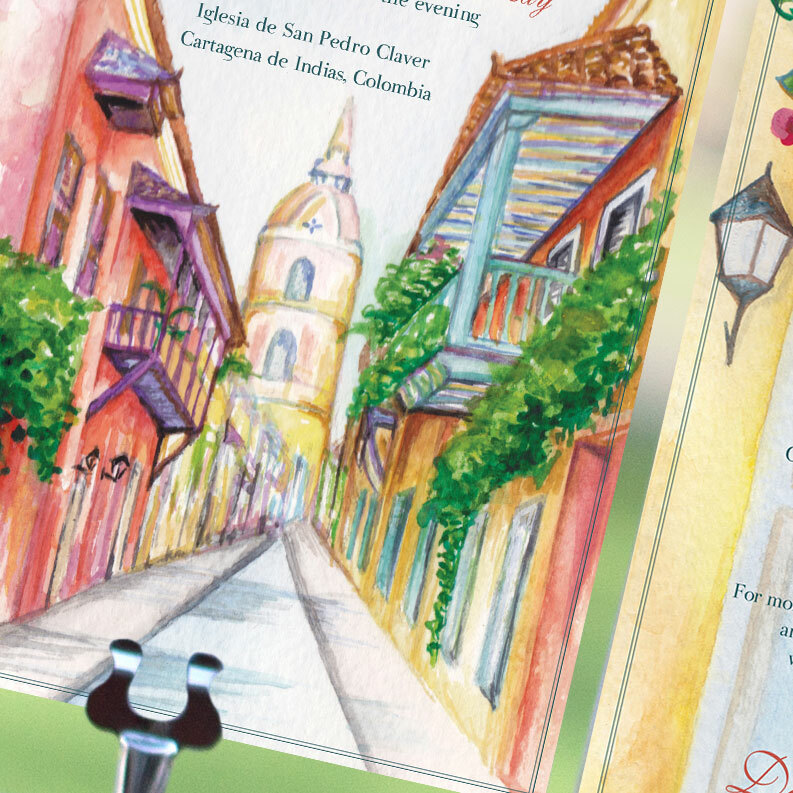 The Cartagena wedding invitation features a prominent street in town. 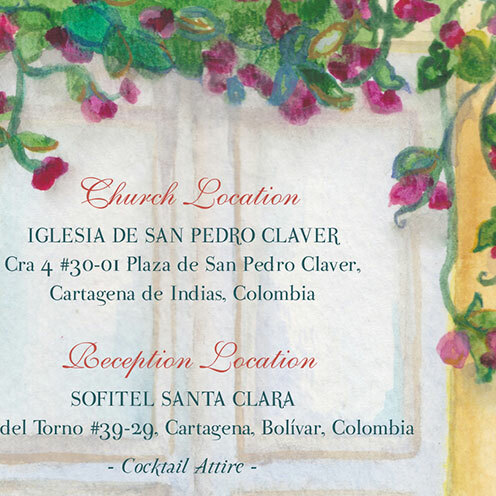 The wedding particulars card features a standard Cartagena door with flowers hanging above the door. 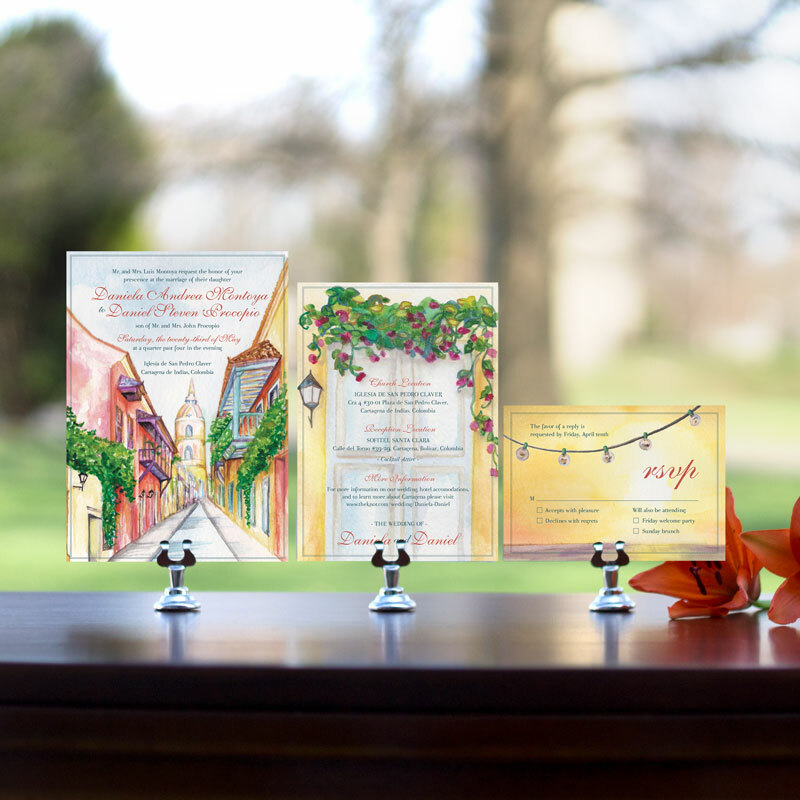 The RSVP card features string lights and a gold background. 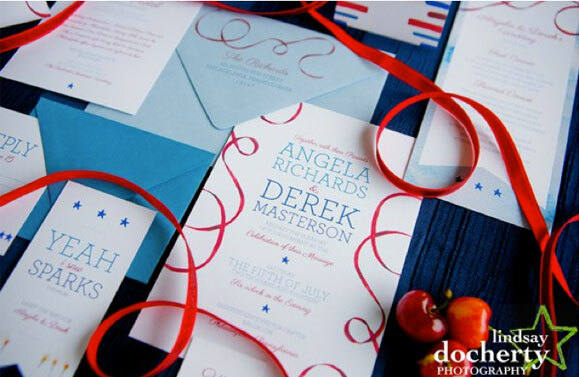 Copy: Once you have purchased your invitation, I will personally work with you through completion. Please email me at info@handpaintedweddings.com with your names as you would like them on the invitation, date and time of wedding, location, and delivery address. Production: I will email you a color pdf “proof” of your invitation for your review. Please identify any edits you want to made by responding through email. You will receive 2 rounds of edits before the “final proof.” Please review and confirm that the layout, spelling, grammar and punctuation are perfect and respond with approval via email. 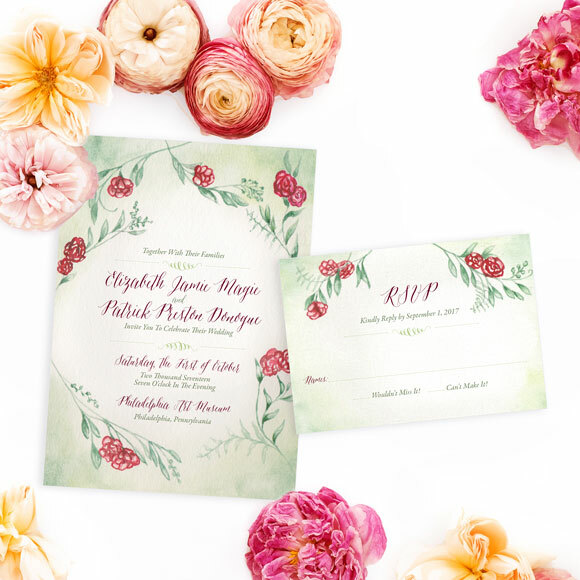 Once you have approved the final proof, the files will be sent to the printer and Hand-Painted Weddings is not responsible for any future changes or mistakes. Feel free to contact me with any other questions via email at info@handpaintedweddings.com or by phone at 215-760-6167. I am very excited to work with you!